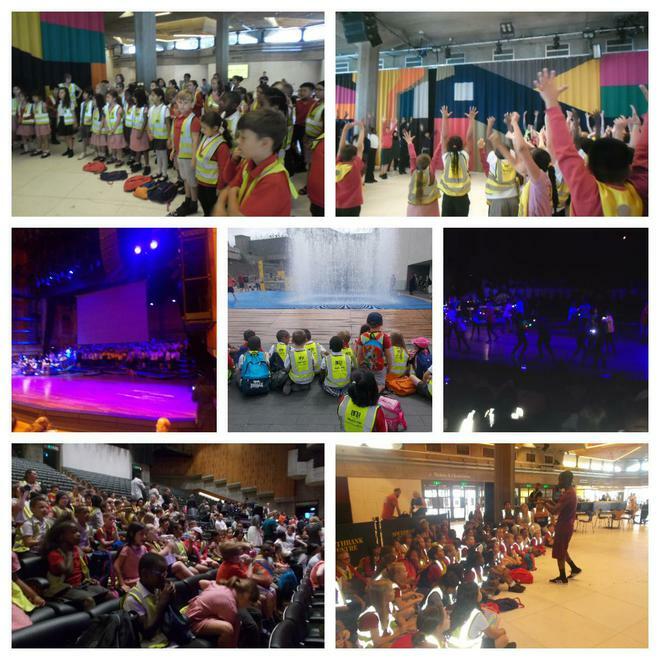 Cyan and Ochre class had the great opportunity of taking part in The Southwark Splash concert at the Queen Elizabeth Hall, Southbank. The workshop was full of audience participation and how the children were a part of the performance although they were in the audience. The group picked up the dance moves and actions with ease and thoroughly enjoyed partaking in the concert. I was really pleased and very proud to hear from a member of the public about how well behaved and polite our children were and they are a credit and an asset to the school.